Christmas Day is finally here! Merry Christmas! While having a fully loaded christmas tree with an abundance of gifts underneath it is exciting – there are some christmas gifts that can’t come from a store. Revive the spirit of christmas today by creating a christmas wish tree that asks santa for a personal wish that can’t be bought. This is a great idea for christmas day parties or for a family activity on Christmas day! You can get a light up wire christmas tree from a craft store or hardware store. If you can’t find one you can always make your own or you can even simply use christmas light strung on the ceiling or wrapped around nearly anything. A friend of mine used 3 large branches found outside. 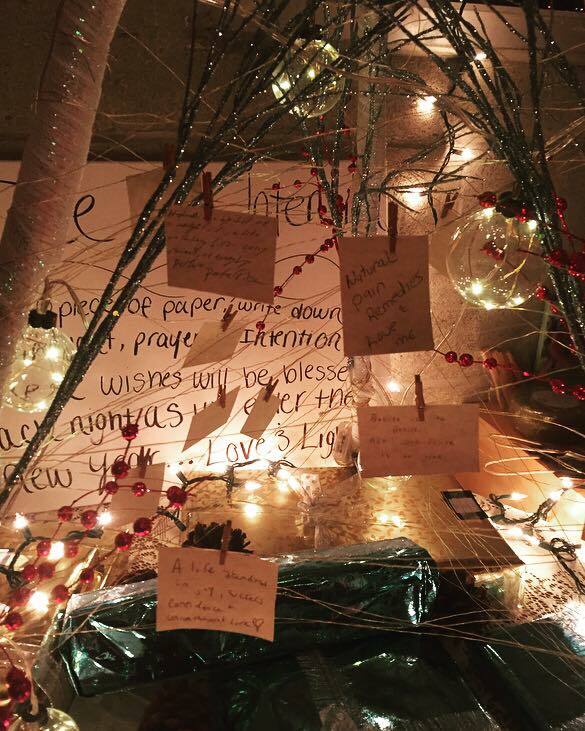 Use the pens and index cards for each guest or family member to write down something they wish for the upcoming year. This wish isn’t a material wish but a wish that comes from the heart. Have them write down 3 gifts. One they want for themselves, the second to give to others (it can be specific people) and third for the whole world. Have them use a clothes pin to attach their index card to the lights. 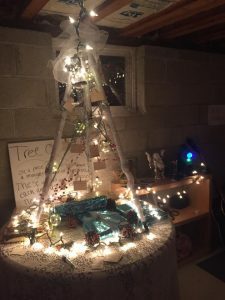 If everyone is comfortable, have them share their wish or you can just leave them up there so as others approach the tree, they can see all the good tidings and merry wishes wanted and given for the year to come!